Together We Seek Retreats! 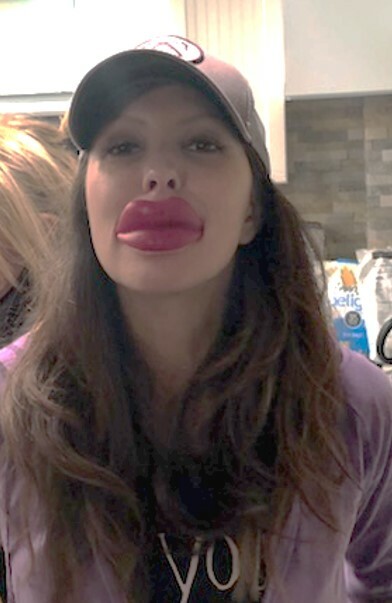 Thanks Kim for the Lips!! Yes, my quest to experience more joy was one of the reasons I landed in an 8-week Mindfulness course based on the work of Jon Kabat-Zinn. With over two decades of accomplishments, I found myself seeking more joy in my life. Looking back, I now see that joy was all around me. Yet, I was unable to fully experience or embrace these moments. Instead, I was mentally consumed with what was next, what just happened, what was due, or what needed to be done. I was mentally assessing, rearranging and preparing which was robbing me of what was happening at that moment. Are you so busy working through your task list that you miss the obvious opportunities to have fun, laugh or experience joy? I could relate, as my old habits of “get it done” would have left me feeling so behind with a desperate need to catch up for lost time and momentum. With a new found love for being in the moment, which took years to adopt and embrace, I felt sad for my friend as I did for my old self. The joy zapper was front and center. At a time when there should be so much excitement and a sense of accomplishment, many of us are hurrying to catch up, get on to the next thing and even leap forward missing the moments of joy that are there for us to embrace and experience. This is not uncommon. Most people I ask “when is the last time you experienced joy?” Many think for a moment and then share big life moments such as a wedding, birth or large purchase such as a house. Few respond with ordinary moments such as something they experienced or witnessed in nature, a glass of wine with a friend or attending a child’s activity. I get it; I was right there with you. I was seeking the extraordinary event and driving my task toward completion. I was so good at getting things done and pushing thing forward that I lost out on the moments in my day that were ordinary yet magical. My advice to my friend that is now an author? How often do you push aside moments of joy to make room for what is next on the list? What moments of joy have you missed out on this week? Can you take a minute to look around now, and be joyful for something around you? I must admit, this was not an overnight shift for me. I attended Mindfulness classes each week, I listened to several books and attended the Mindfulness conference in NYC. I also made time each week to release my joy zapping mindset by focusing on what was happening right now and if needed, just focusing on my breath. Notice all the beauties in Mother Nature along your commute. I find, when you take the time to find the little joys in life, you can truly appreciate the little successes as well. If we wait for the big joys, the big success, the big promotion to celebrate, we run the risk of missing out on some pretty amazing moments, connections and experiences. *A special thank you to my Mindfulness teacher: Suzanne Rusnak at UH Connor Integrative Health Network. JJ DiGeronimo, the President of Tech Savvy Women, advanced from entry-level positions into leadership positions within technology companies. Through her work, JJ shares effective leadership and inclusion strategies to retain, develop and advance women in tech and STEM careers. JJ includes these experiences in her book “Accelerate Your Impact” which complements her 2011 book, “The Working Woman’s GPS.” JJ has been quoted in numerous publications including Forbes, The Wall Street Journal, and Fox Business. She has shared her expertise with the women of Amazon, Ingram Micro, RIT, Sears Holding Company, Clemson University, Symantec, VMware, IBM, KeyBank, and Cisco along with many other organizations.